When I first had this dish few years ago in an restaurant I was presently taken by the taste. Based on that name which sounded close to pizza I thought it is more of tomato based recipe to my surprise it is actually more onion. 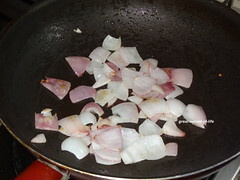 I am a big of an of onion and I loved the dish. 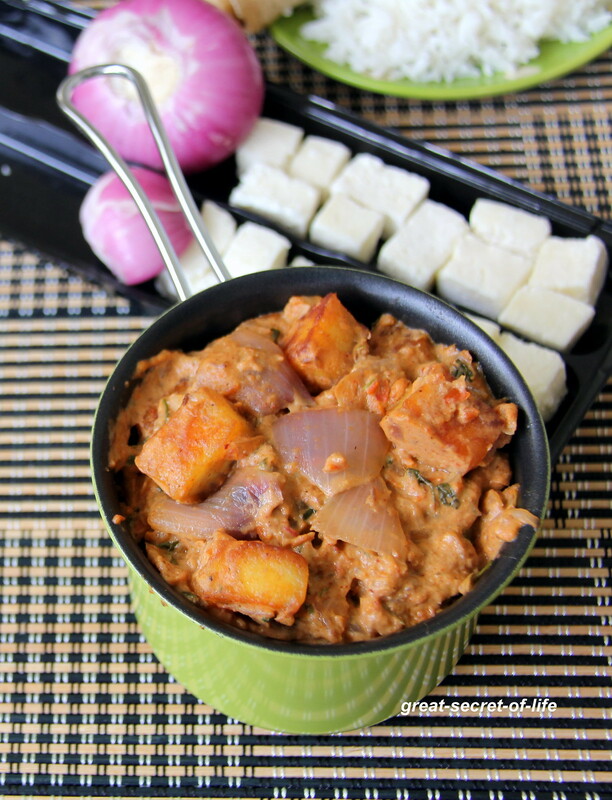 My 1st son's worst vegetable is Onion So I kept postponing making this at home. When I was thinking about a side dish to go with Chapati I remembered this dish also my 1st son is in boarding school so the dinner is just for us and my 2nd son so I have decided to do this. 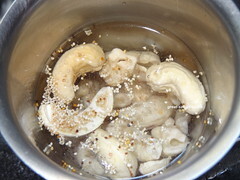 Soak Cashew nuts and poppy seeds together for 1 hour. Grind to smooth paste. Keep it aside. 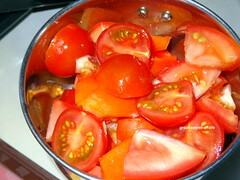 Puree the tomatoes and keep it aside. 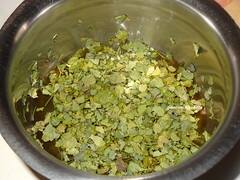 Heat the pan and add rest of oil. 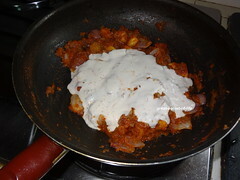 Add cumin seeds and let it crackle. 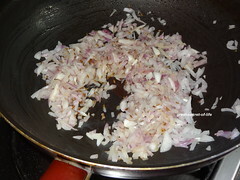 Now add finely chopped onion. 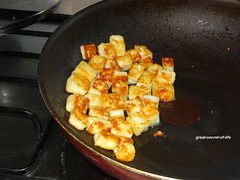 Fry till they are slight brown color. 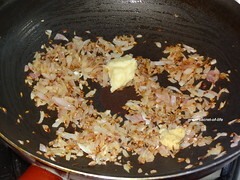 Add Ginger Garlic paste. 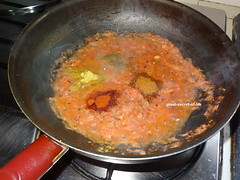 Fry till nice aroma comes. 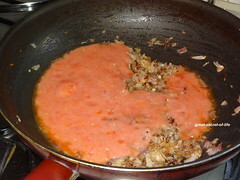 Now add tomato puree. 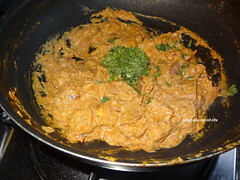 Add Garam masala powder, Red chilli powder, Cumin powder, Coriander powder, Salt. Mix well. Let it cook for 4-5 mins. Delicious! Nice to go with either rice or bread for the lunch. 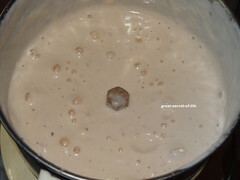 Never tried this recipe..Thank you for sharing it..I like ur pictures and props as well. Looks very delicious and inviting..
Looks so yummy. must be great with rotis ! 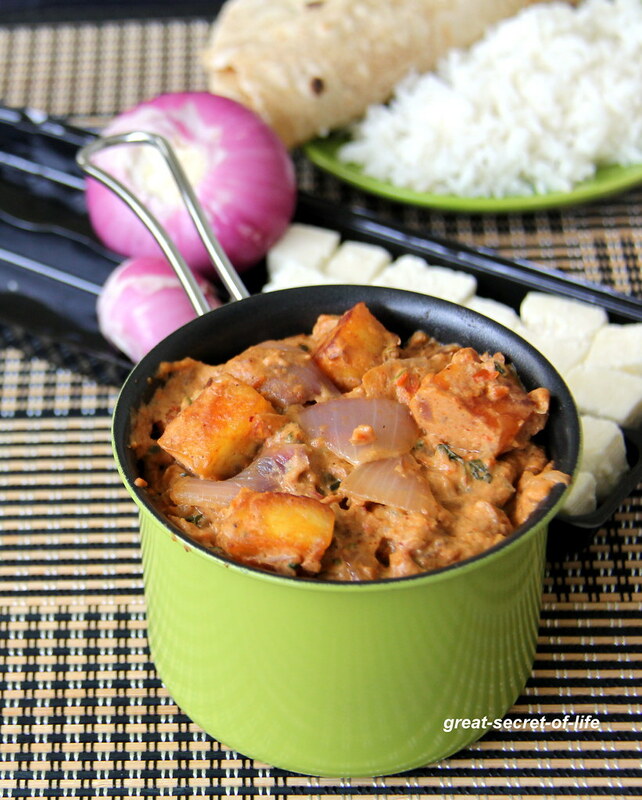 Oh yummy looking do pyaza, u make vegetarian so interesting. 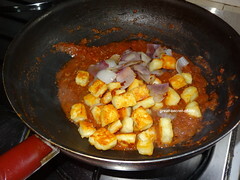 Love paneer do pyaz aa...looks delicious ! 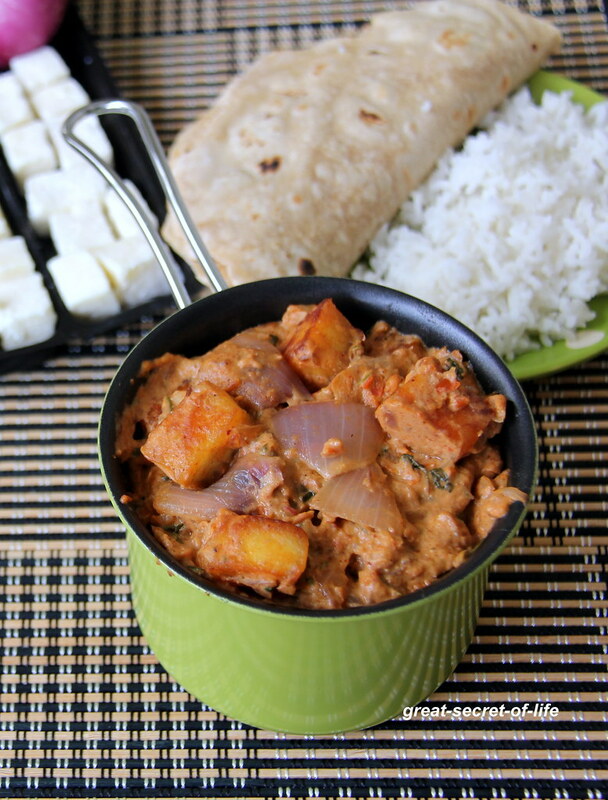 Give me some rotis, i can have this paneer do pyaza without any fuss..